The Humberside Breast Screening Service is part of the NHS breast screening programme. It’s our job to provide you with accessible and efficient free breast screening once every 3 years. The Humberside Breast Screening Service provides free breast screening for women in Hull, East Yorkshire, North Lincolnshire and North-East Lincolnshire. We aim to increase survival rates from breast cancer by diagnosing changes in the breast tissue as early as possible. 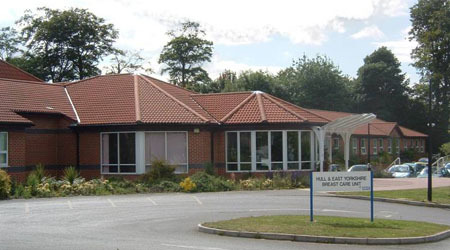 We are based at Castle Hill Hospital in Cottingham and use mobile screening units to reach community locations throughout our region. One of our mobile units may travel to your area when you are due for your next screening invite. Every 3 years we invite almost 150,000 women from the local area for breast screening. We use information from GP practices to make sure that we invite the right women at the right time. Breast screening is routinely by invitation only. We invite all women aged 50-70 once every 3 years. The screening procedure itself takes around 6 minutes and a full mammogram appointment usually takes no longer than 30 minutes.